A very warm welcome to Team Profit from the Team - Dan, Tom, Buschra, Jeremy and Chris. We have written this article to help you to understand all the key information about what matched betting is, so you can decide whether to start making £1,000+ risk free. How much money you need to start? After reading this, head to the Video Guides to learn matched betting and join over 50,000 in the UK! Team Profit is a free to use educational site run by a team of experienced matched betters. It is aimed at people in the UK looking to make extra money in their spare time. We teach you how to make £1,000+ risk free from your laptop or mobile, using a betting technique known as ‘matched betting’. To do this, we provide you with video guides and step by step guides alongside live help, all available completely for free. You can read more about the people behind Team Profit on the About Us page. 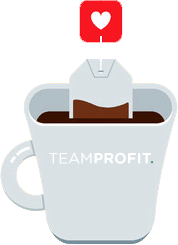 Everything on Team Profit is 100% free to use. In this video I’ll be showing you exactly how we milk the bookmakers for over £600 profit, completely risk-free. You may have already seen bookmaker welcome offers advertised on the TV, and they’re typically along the lines of, “bet £5 and get £20 free”. Which means you simply sign up to the bookmaker, place your first £5 bet and in return, they’ll give you a £20 free bet. In total there are over 25 bookmakers offering these welcome offers. Whilst most customers will only stick with 1 or 2 bookmakers, we are not most customers. We are savvy and we sign up to, yep you guessed it, all 25. This means you will receive over £800 worth of free bets in total, which is the equivalent of over £600 in cash profit - a nice addition to anyone’s bank account. Now we could get unlucky and lose both our £5 bet and our £20 free bet. 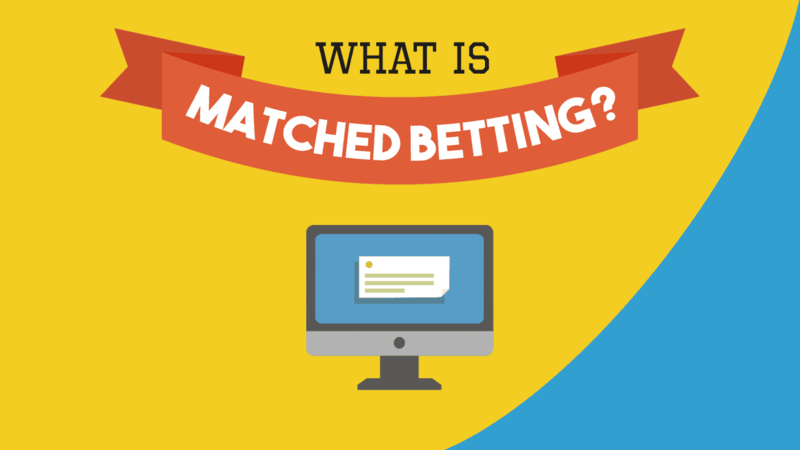 However, this is where the term matched betting comes in. We take our initial £5 bet and we match it by betting on the opposite outcome. So for example, if you bet £5 on Man Utd to win on the bookmaker Coral, you match this by betting £5 on Man Utd not to win. By betting on both outcomes, we don’t win any money but we don’t lose any either. However, great news, we will still receive the £20 free bet. With the £20 free bet now in our bookmaker account, we repeat the process of betting on any team to win and not to win. This time, because we’re using a £20 free bet but then getting winnings paid out in cash, we will always make a profit, completely risk free! For every £20 free bet you receive, you will make £15 profit. Each offer takes a maximum of 20 minutes to complete, which works out to be approximately £40 an hour. So from your £800 in free bets you will make in the region of £600 profit risk free, in not much time at all. 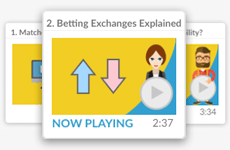 So if you fancy an extra £600 in your bank account, let’s head to the next video, Understanding Betting Exchanges. From the Welcome Offers alone you can expect over £600 profit, averaging £30 to £40 an hour. This is tax free too as the UK government rule that winnings from bookmakers are tax free. The bookmakers want to keep you betting with them, rather than with one of their competitors, so they continue to run free bet offers for you, known as Reload Offers (offers for existing customers), for a few hours a week you can expect up to £500 profit a month. You can track all your profit using the free matched betting spreadsheet. I asked a lot of my friends for feedback and they often wanted to start with as little as possible. So I wrote this week by week £10 to £800 Plan. This shows how you can start with just £10 and within 3 months turn this into £800, all in your spare time and averaging £30 per hour. Alternatively, you can reach £1,000 within 3 months with the £25 to £1,000 Plan. If you are looking to make £1,000 faster, you can reach this in 2 months (or even faster) by starting with £100, check out the £100 to £1,000 Plan. Time It Takes To Learn? The Video Guides last 20 minutes in total. The first 3 videos are ‘explainer’ videos that explain the key concepts. The remaining 4 videos are step by step videos that walk you through the Coral offer. You are then ready to complete your Coral Welcome Offer using our step by step guide, which I would set aside another 40 minutes so you can take your time and ensure you are completing it correctly. Or Are You Ready To Start Learning Matched Betting?